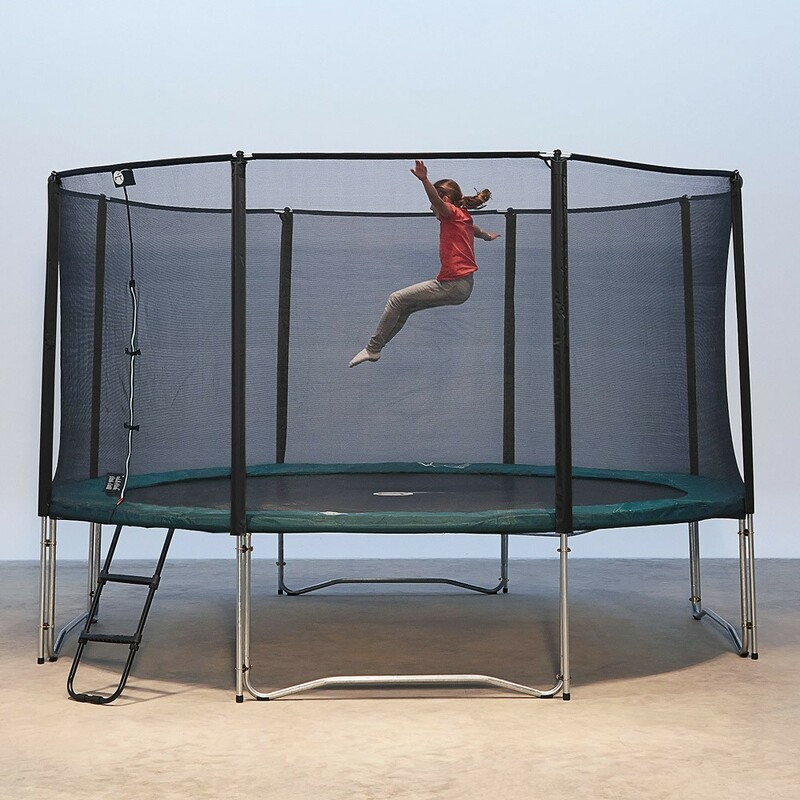 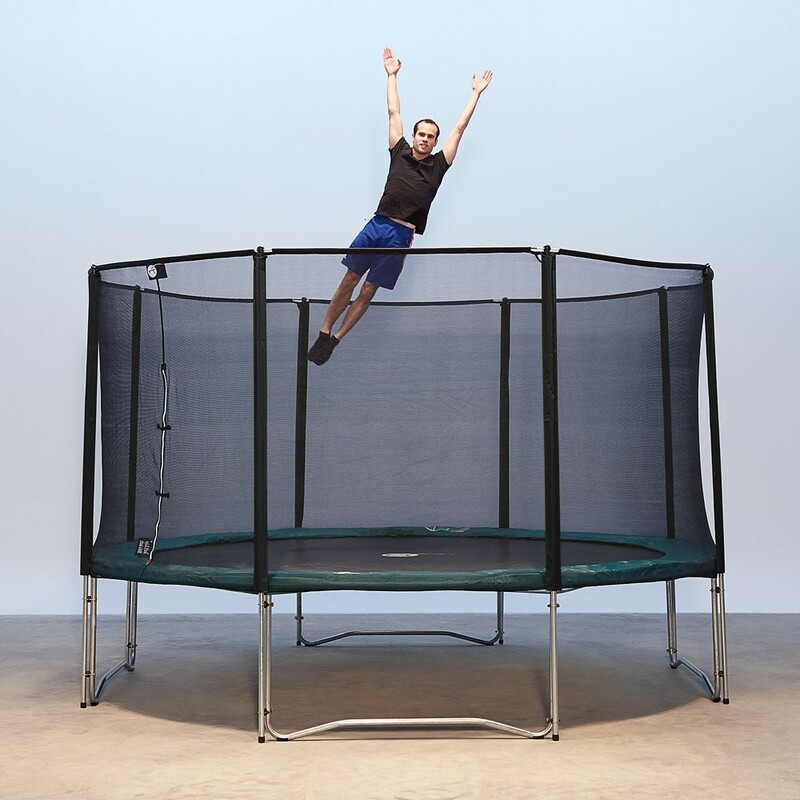 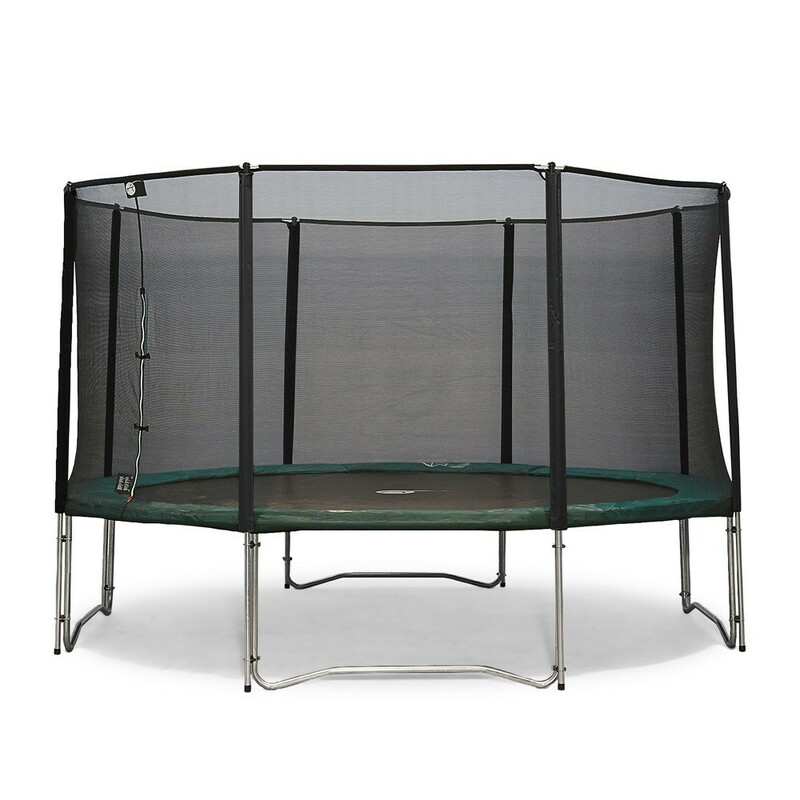 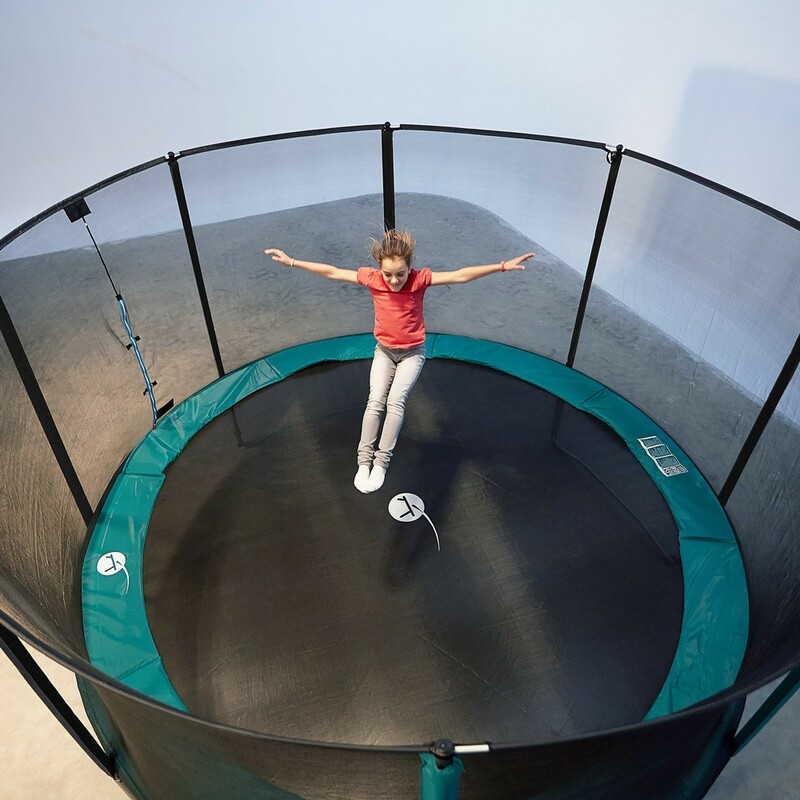 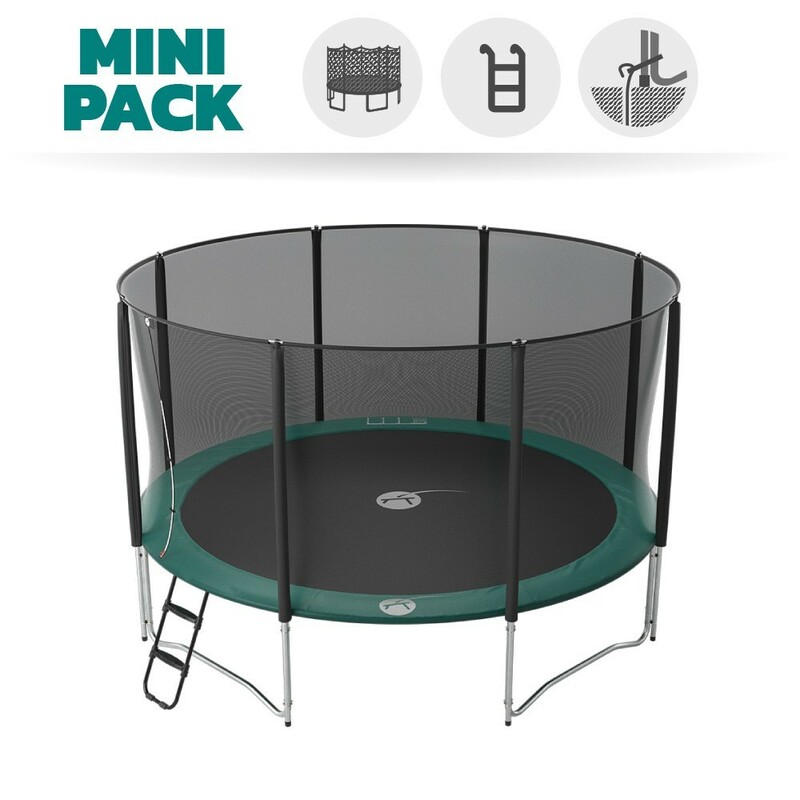 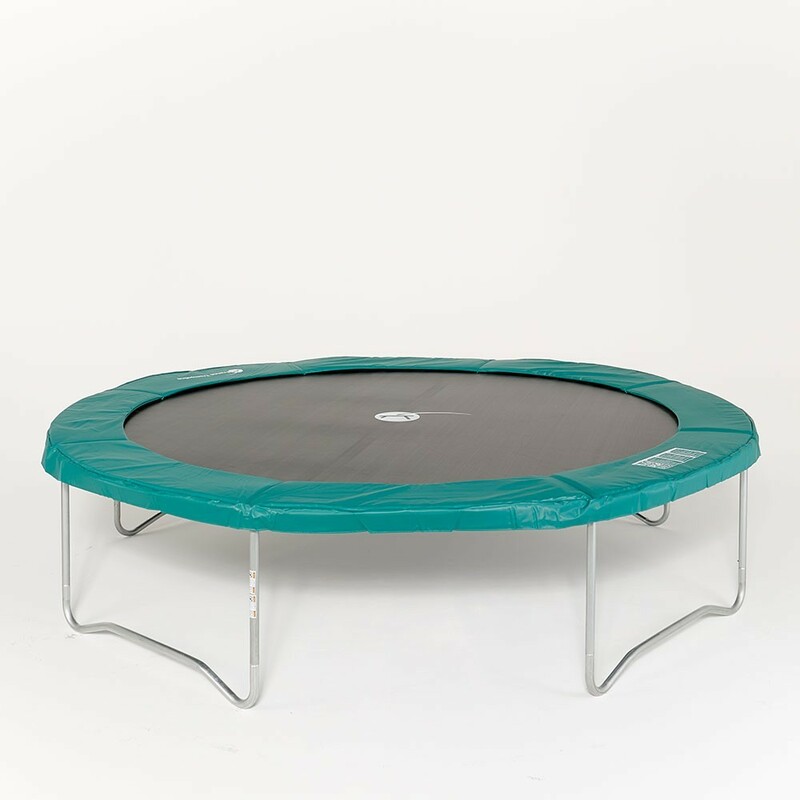 This basic trampoline pack includes the Jump4up 430 trampoline, an enclosure, a ladder and an anchor kit. 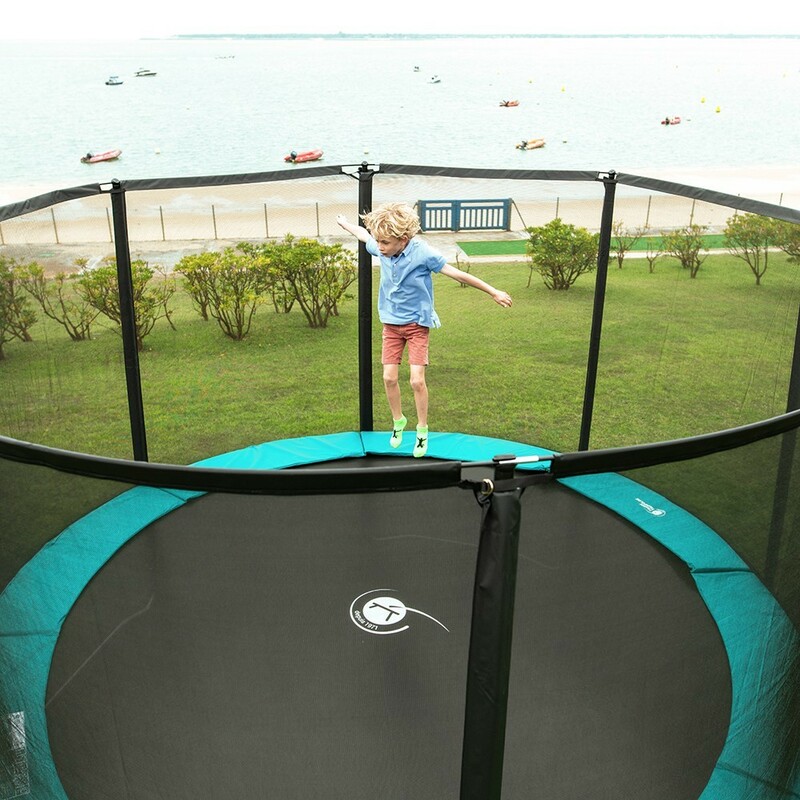 - This trampoline is made to stay outside all year round thanks to its hot-dip galvanised steel frame with 42 mm wide framework. 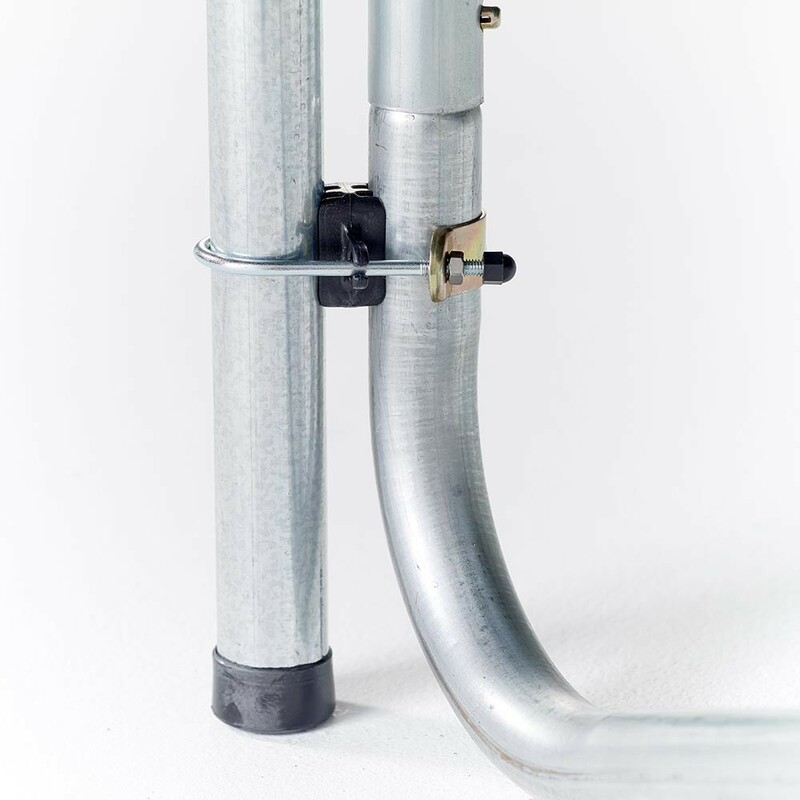 The tubes are joined together thanks to T-junction components that avoid welding, providing a very robust structure. 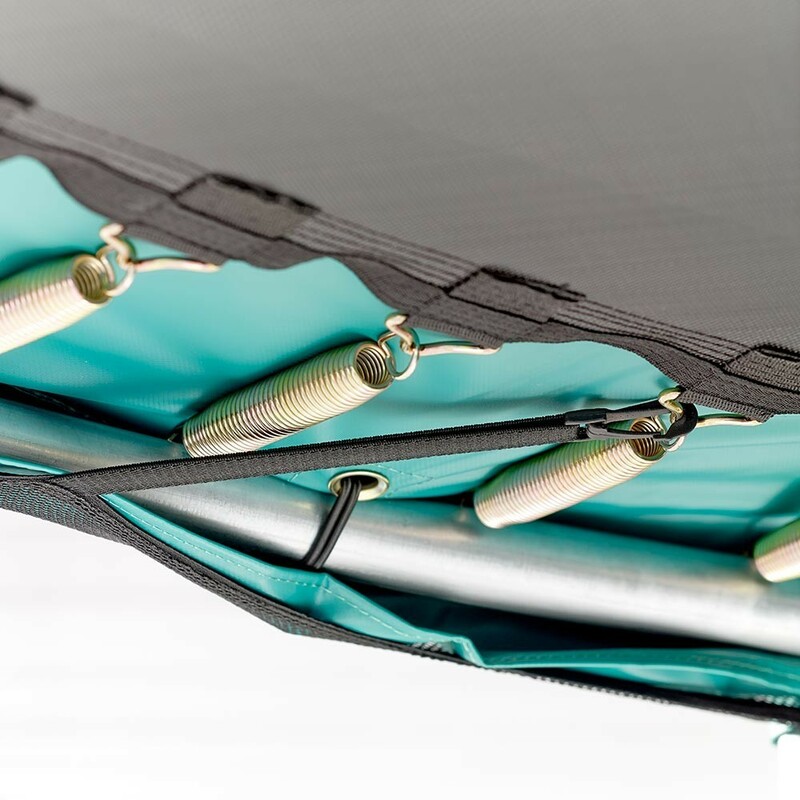 - The jumping mat is strengthened with 8 rows of stitching and an extra reinforcement band. 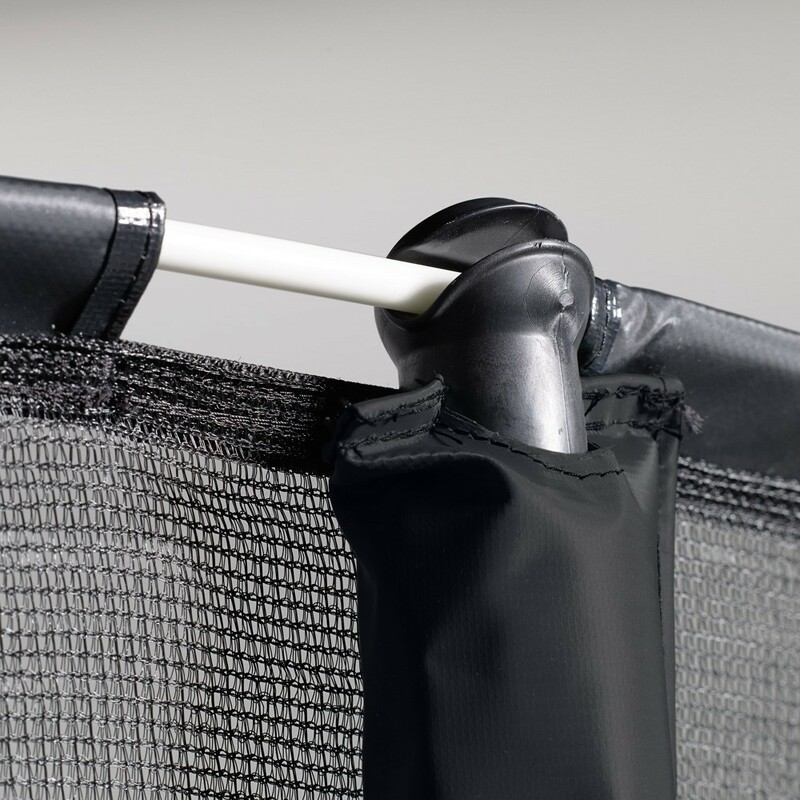 It is also UV-light protected. 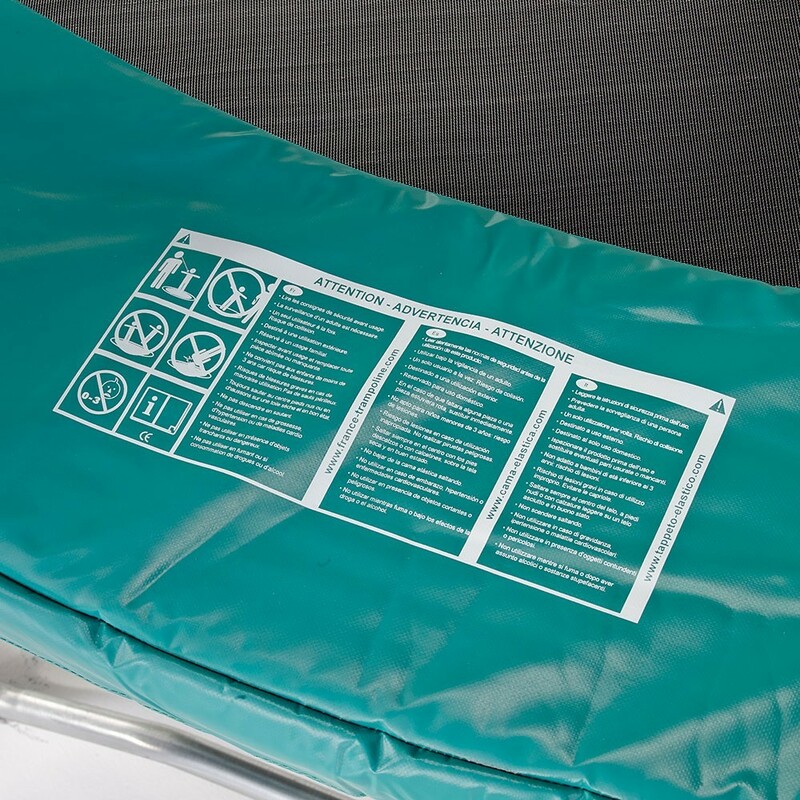 - The frame pad is coated in resistant PVC making it waterproof and UV-light protected. 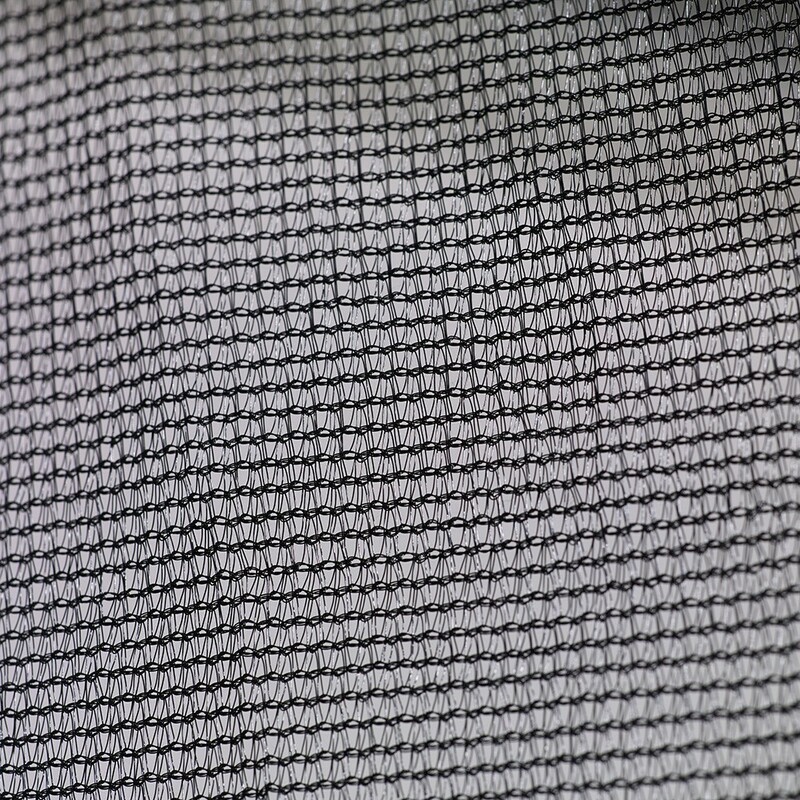 It is made with 20 mm thick mono-block foam. 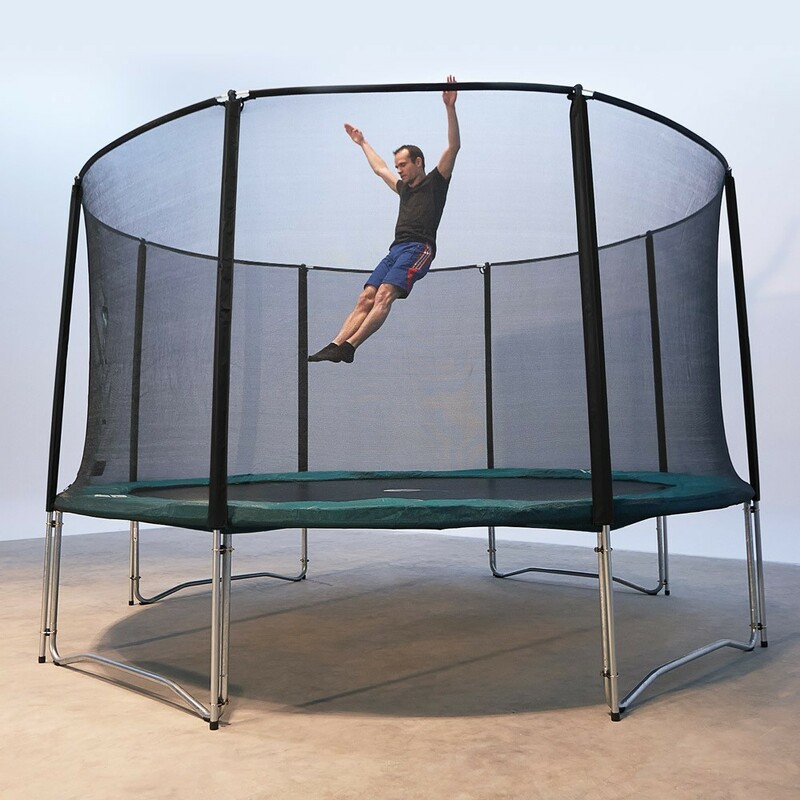 - The safety enclosure is made with very fine netting to protect young children’s fingers and with 32 mm wide net posts that go right down to the ground. 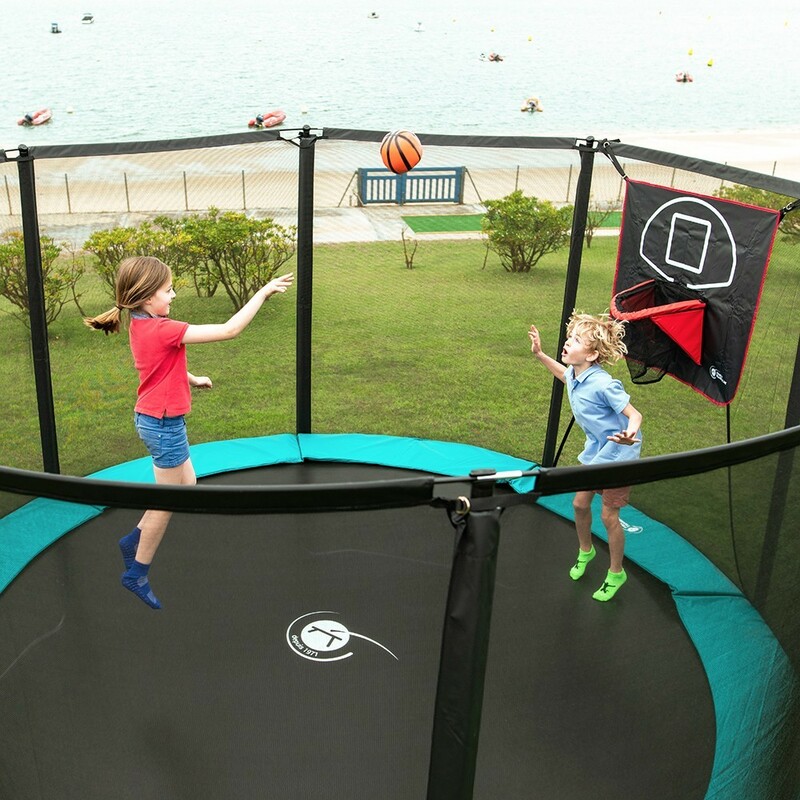 Optimal tension is provided by fibreglass rods at the top of the net posts. 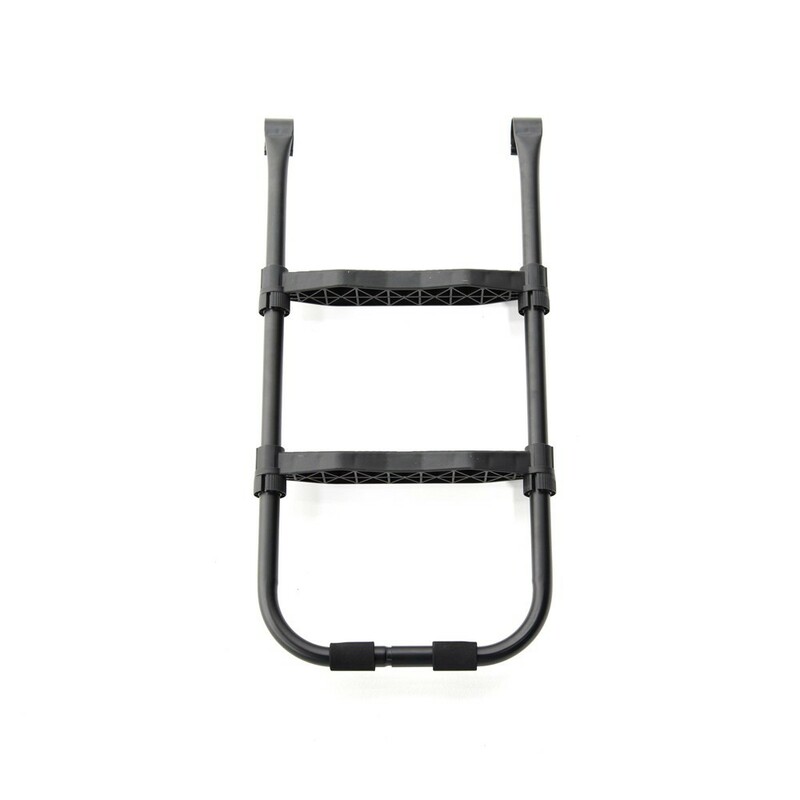 - The access ladder has to 7.5 cm wide anti-slip steps. 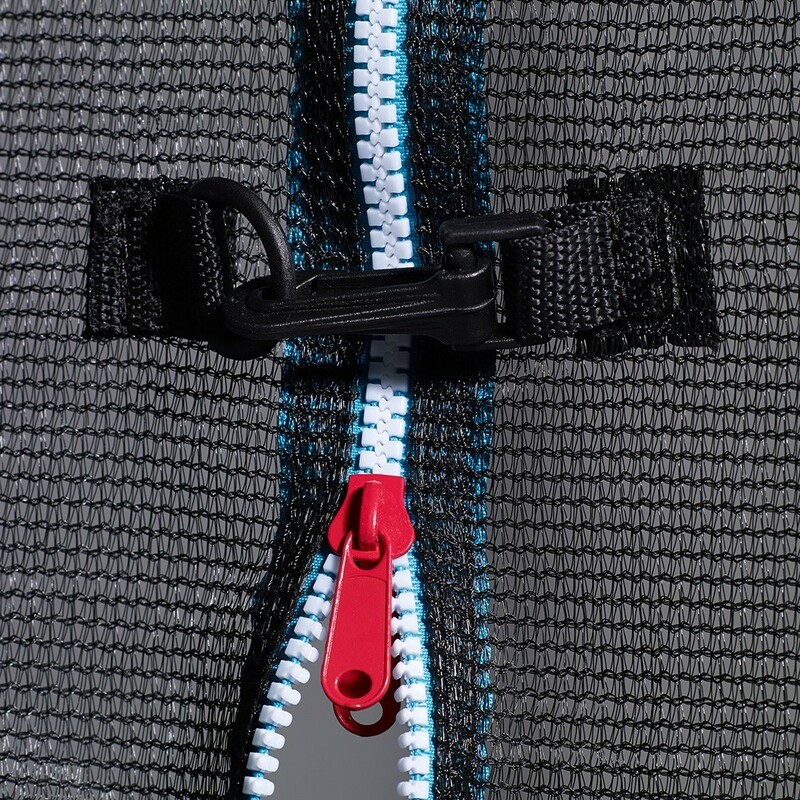 It is easy to remove. 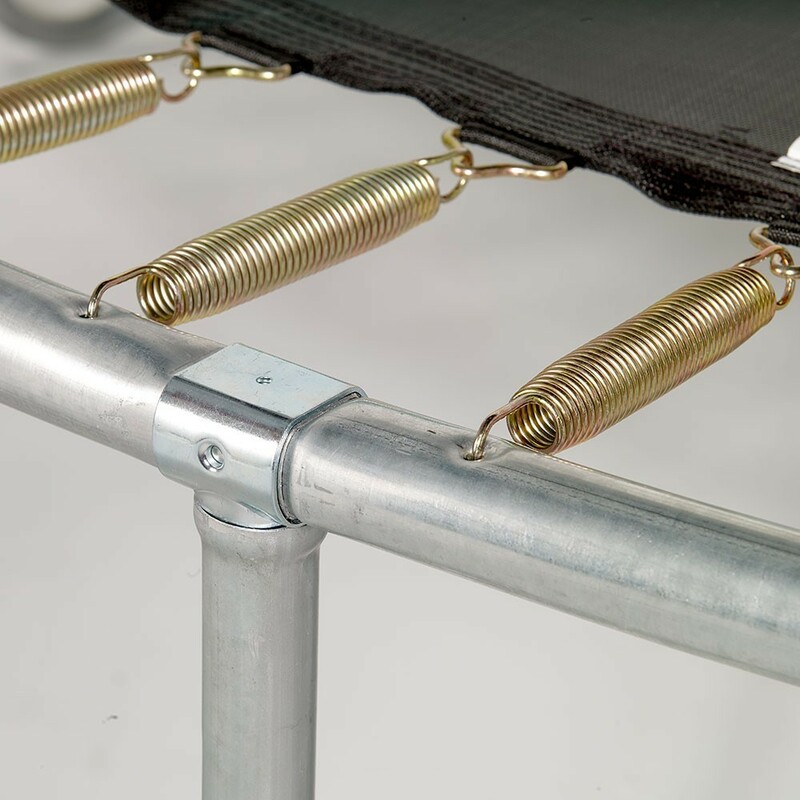 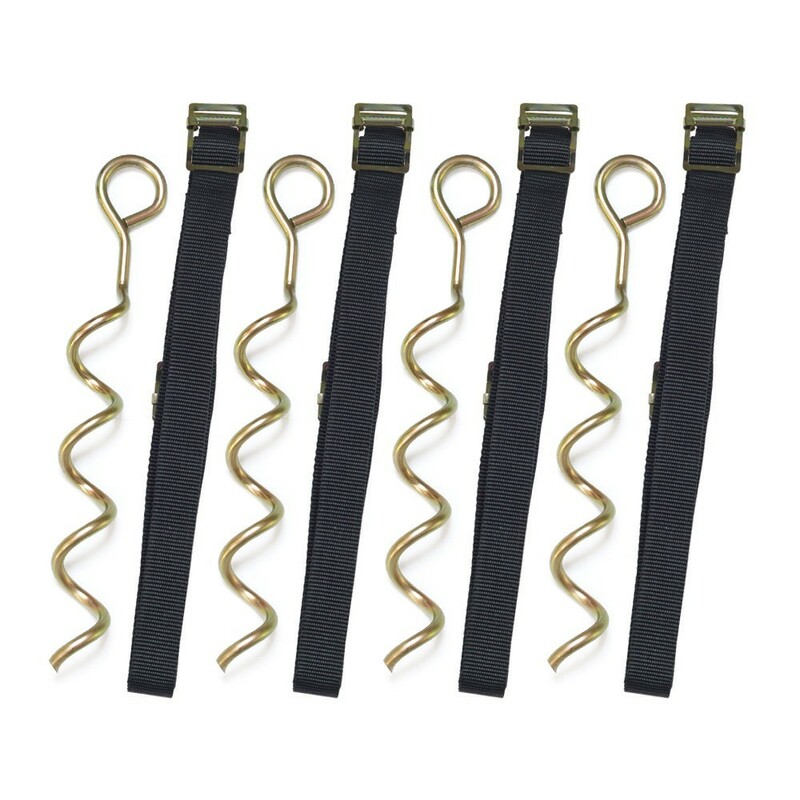 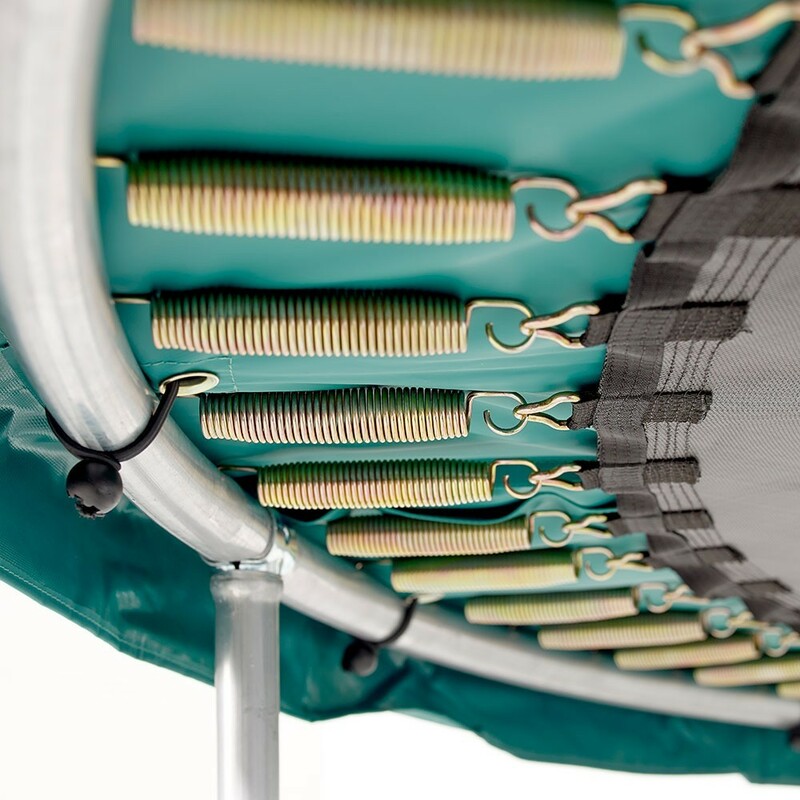 - The anchor kit will protect your trampoline during windy days, thanks to it 4 winged screws and fabric straps. 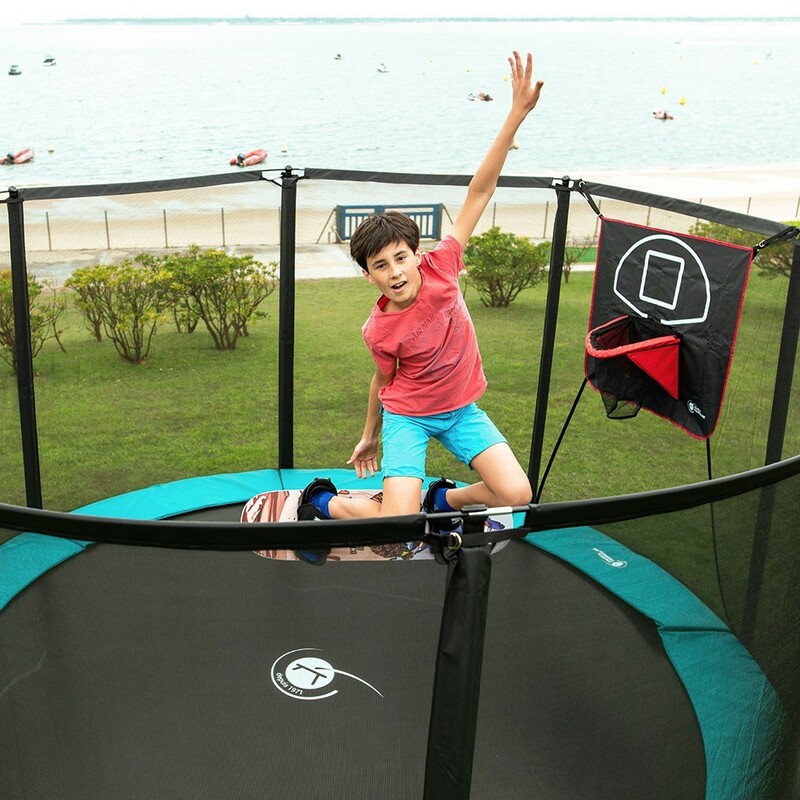 Tout ce qu’il en un, ne pas hésiter à prendre le pack !